Not that many years ago, I was insistent upon having a real tree. It had to be tall and very round and full. I love the aroma of a natural tree. What I didn’t love was the hassle of going through countless trees, finally finding one that I loved and then bringing it home, trimming the bottom branches more because it wouldn’t fit in the stand and then working to get it just right in the stand. 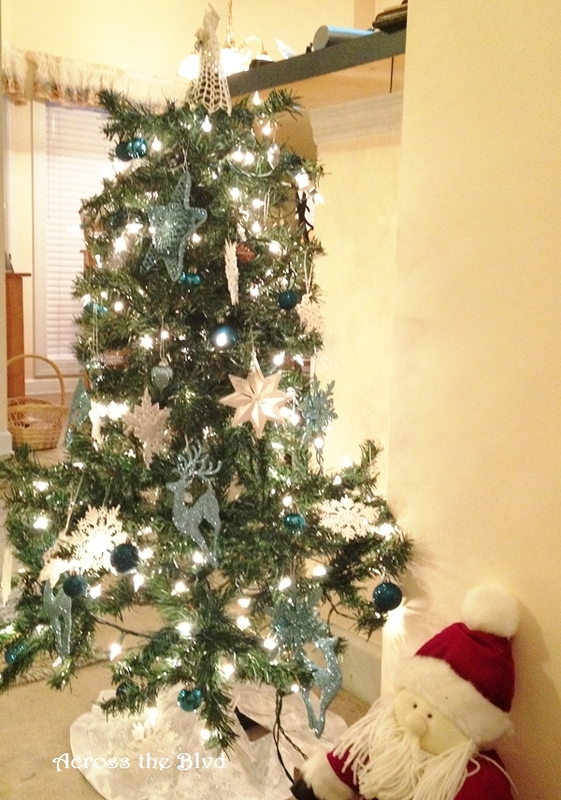 For a few years, I had one real tree and one artificial one in different rooms. 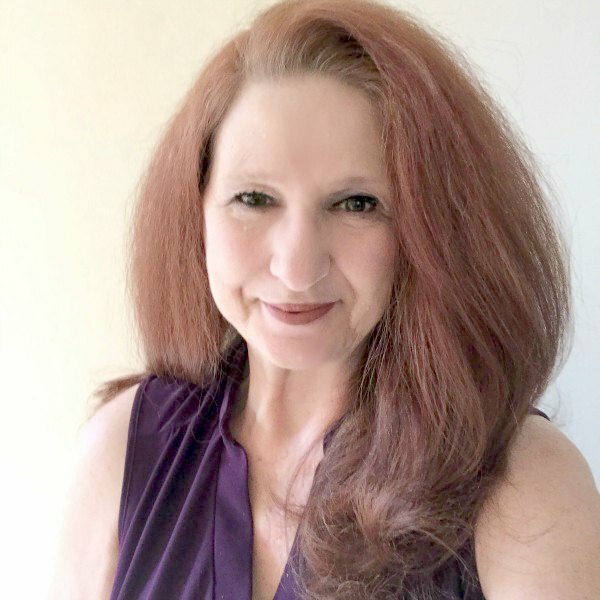 But, after one particular year in which not one of the real trees I saw made me fall in love with it and I settled for something less than what I really wanted, I decided that the next year, I was only having artificial ones. While they may not suit everyone’s tastes, I love how they look and they are pretty much hassle free! While I don’t have a tree in every room in my house, I do have a number of them. Two of them are 7.5 feet and two of them are 4 feet and then I have a few two feet table top ones as well in the bedrooms. It takes some time to get them all decorated, but I love every minute of it. I like to have different styles of decoration for each tree. The one in our main living space is the traditional one. It’s the only place in my home in which I use colored lights, but for this tree, only multi-colored will do. This tree is home to many of my DIY ornaments and I use silk poinsettia blooms scattered all around it. I love personalized ornaments for this tree. 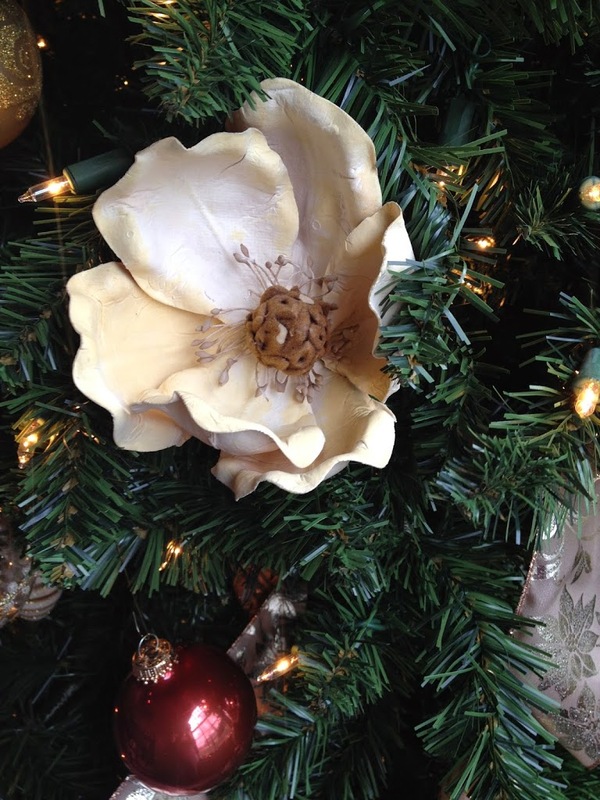 Using flower blooms or floral picks is a great way to add filler to any tree. 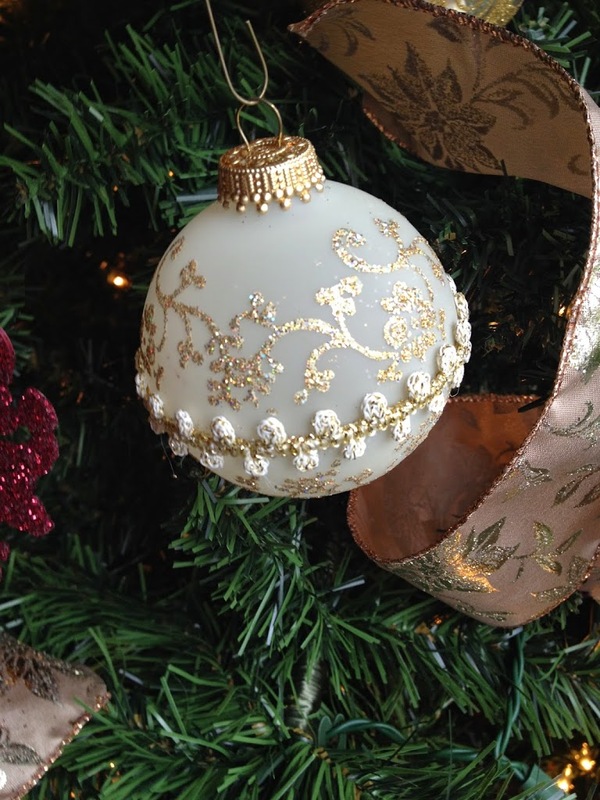 It’s filled with tons of ornaments from years past as well as newer ones. The memories that come to mind as I’m decorating this one are special. 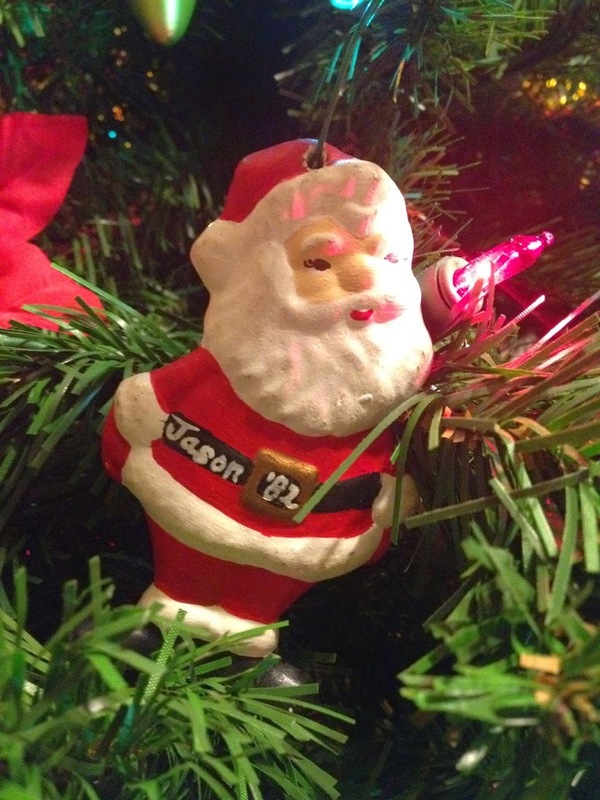 When I hang a little Santa with my oldest son’s name on it, I remember Jason’s excitement as a child as he waited for Santa to come. 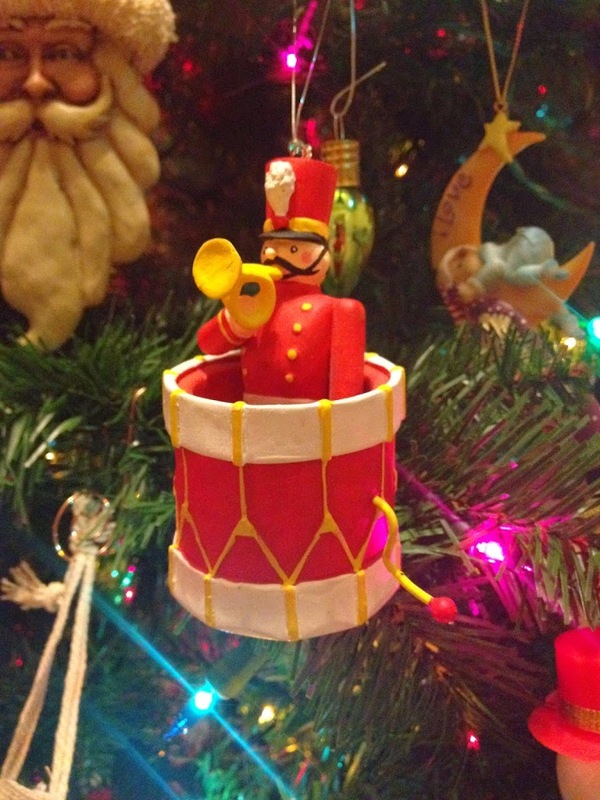 I love this little nutcracker drum ornament and each year I am reminded of seeing a performance of the Nutcracker at the Fox in Atlanta with my son, Ryan where we purchased this ornament together. 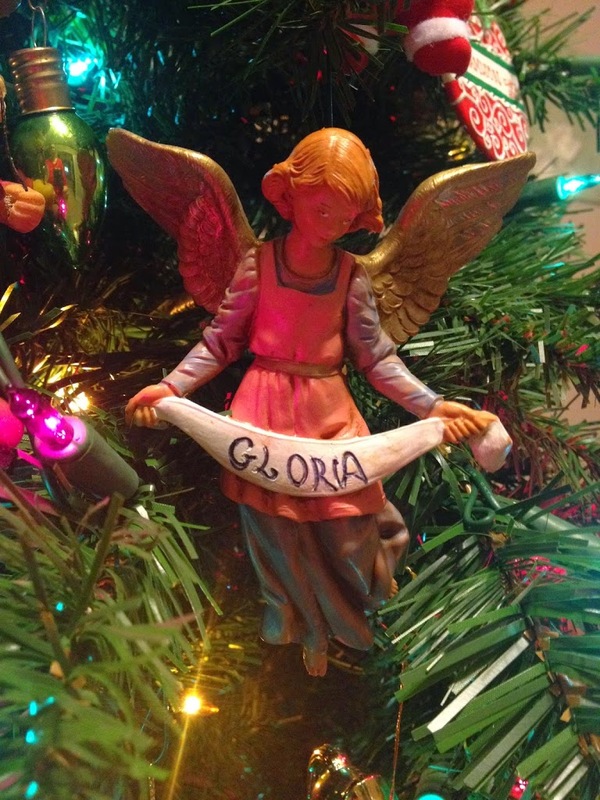 I’ve always loved that Gloria’s name is found on so many Christmas items. This tree has several ornaments with her name. This is one of my favorites. 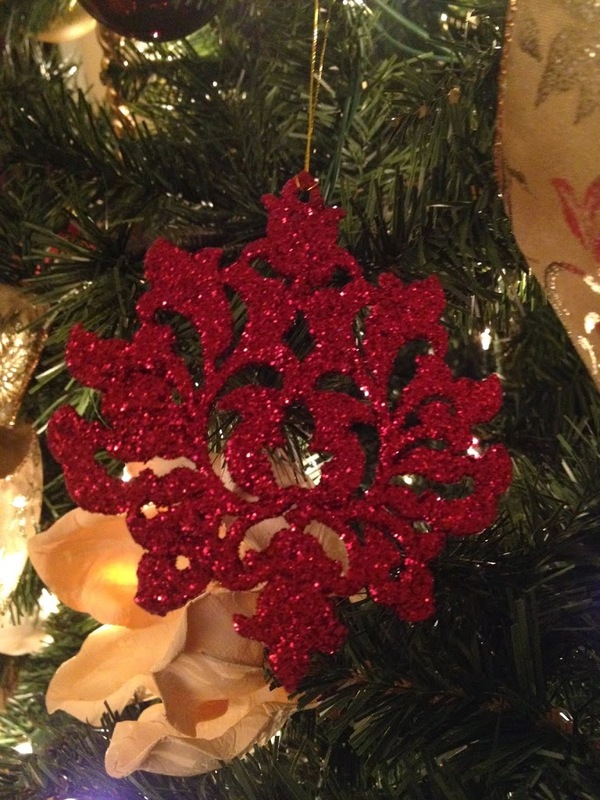 Each year, on Christmas Eve, anyone who is at our home brings an ornament for the tree. We make a big deal out of presenting the ornaments and everyone hangs the one they brought on the tree. 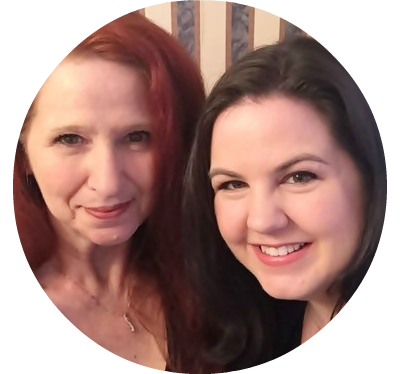 It’s a fun tradition and one that always gives me lots of joy. As I unpack the ornaments each year, I can recall who gave which ornament and it warms my heart. You’ll find all kinds of ornaments and colors on this tree. It’s the one I always think of as the Family Tree. 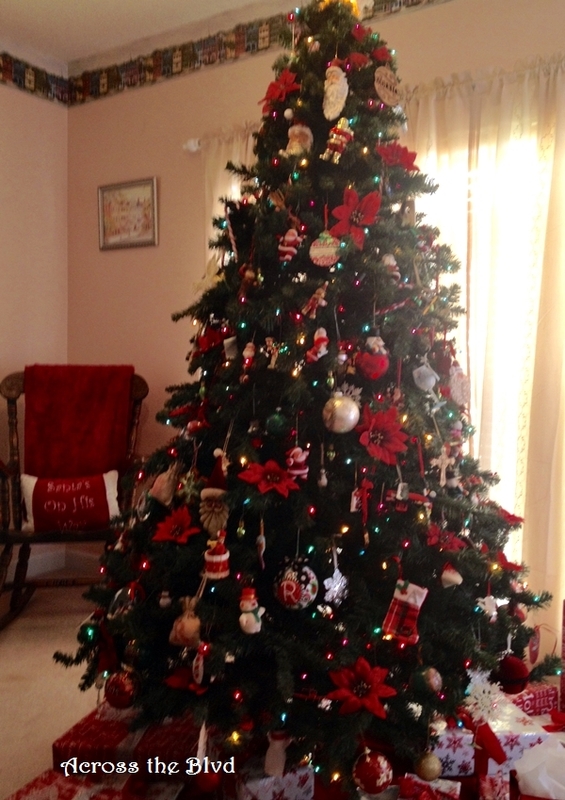 This is the tree that gets the presents placed under it and the one that we gather around on Christmas morning. The other large tree is placed in the room that I affectionately call the parlor. In the south, we have parlors! My California husband isn’t too sure about that. He prefers to just call it the front room. This is a rarely used room, but it’s the most formal one in our home and it faces the street. It’s home to my grandmother’s piano and a large hand crafted book case, tons of photo albums on another book case and some special photos on display. It’s only fitting that it gets a more formally decorated tree. For a unified look, sticking to a small color scheme works best. I use only clear lights for this one. 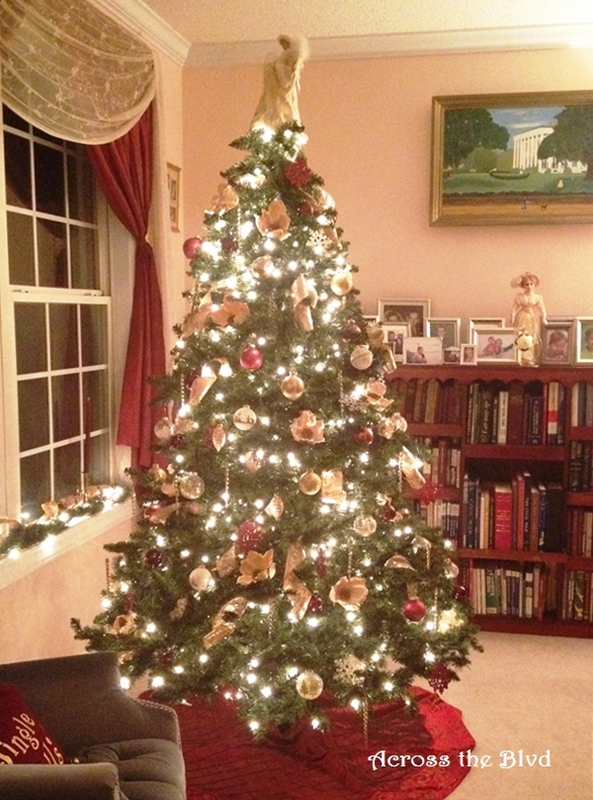 This tree is decorated using only gold and burgundy and a bit of cream. I sometimes call this our Charleston Tree because we first put this one up and began gathering the decorations for it the year we moved to Charleston in 2004. Buying new ones during the after Christmas sales is a great way to add to a collection for less. 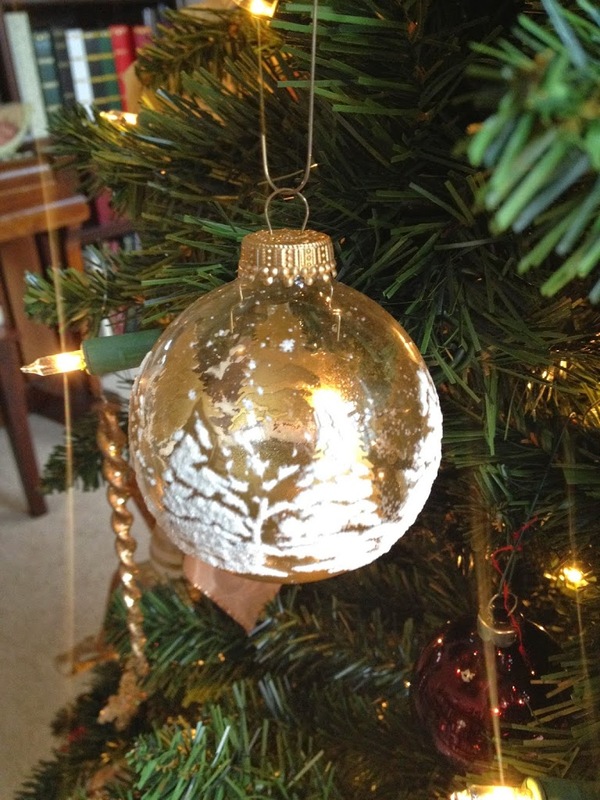 Gold or gold trimmed balls. I love magnolia blooms and they go beautifully with this tree. Gold icicles, spiraled ribbon and burgundy balls. 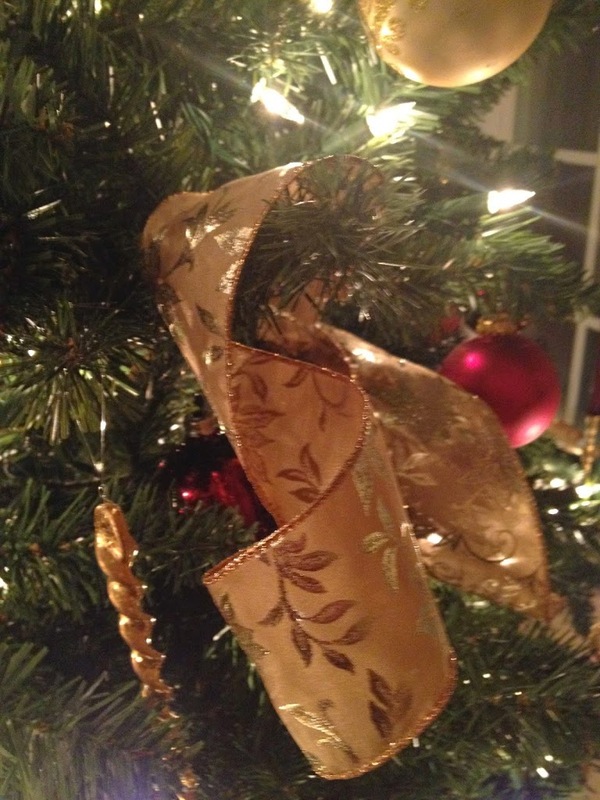 I cut gold wired ribbon into small strips and then curl them to hang from the branches. This makes a great filler, too. I love the look it gives and it’s so much easier for me than wrapping ribbon garland around the tree. 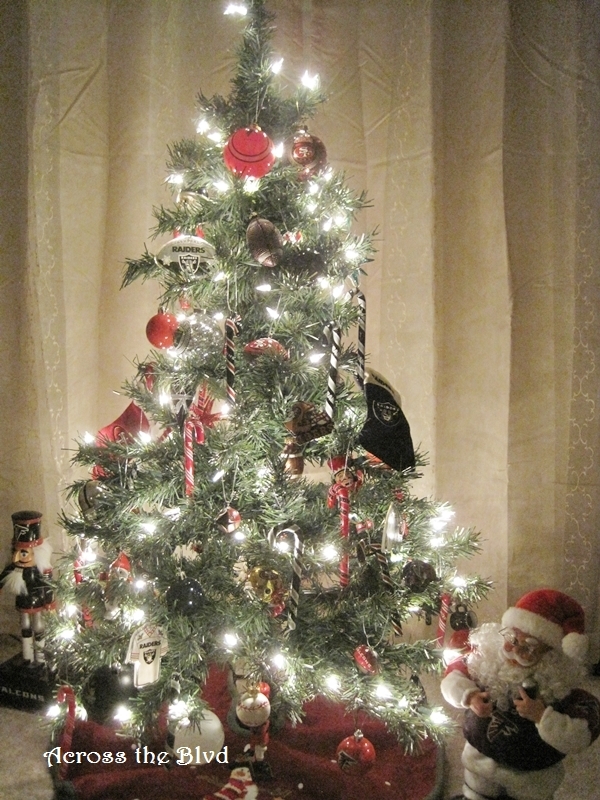 For our sports room, I always decorate a 4 foot tree using ornaments of our favorite sports teams. Since my husband and I have different favorites, it’s a mixture. If it were only my sports tree it would be filled with Atlanta Falcons and Atlanta Braves ornaments only! But, I do include his favorites, too. This year, I added a four foot tree to our family room. It’s done in sea blue and white using snowflakes, shells, reindeer and stars. Trimming the trees is as much about making the house festive as it is about the memories for me. Once they are up, there isn’t a night during the holidays that goes by that I don’t sit quietly for at least a few minutes and simply reflect on the blessings I’ve had in my life over the years. I think of all those special Christmas times, of my children’s laughter and glee and of all the routes we’ve taken in life to bring us to this Christmas. 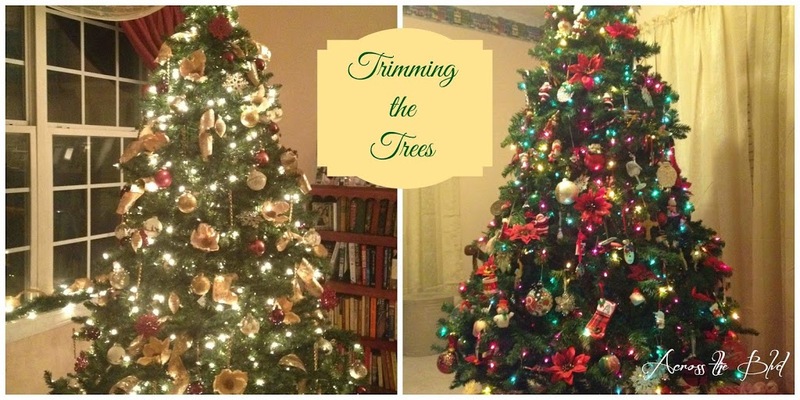 Do you decorate multiple trees? Do you choose a theme for your trees? I’d love to hear about it! Thank you, Cydnee. I’ll look forward to joining in again soon. They’re both beautiful! 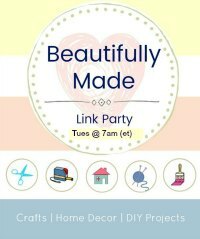 Thanks so much for sharing with us at the #homematters linky party! We’re back on January 9 🙂 We’d love for you to join us then! Thanks, Kristen. I’ll make sure to join in on the 9th.